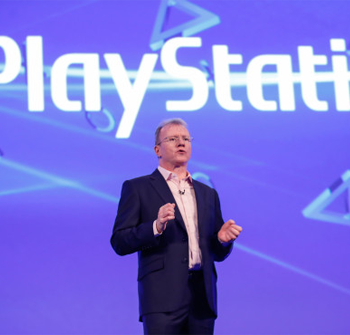 Sony will only be porting over previous generation games to the PS4 when it "makes sense." "You can't have too many of these things otherwise next-gen just looks like rehashed last-gen and we certainly don't want that." This was a statement made by Jim Ryan, president and CEO of Sony Computer Entertainment Europe in response to a question about the success of The Last Of Us Remastered and what that means for more games making their way to the PlayStation 4 in the future. "I think we'll look at it as and when it makes sense," going on to explain that The Last of Us was a smart move given its extremely high Metacritic scores. Furthermore, Sony now has a new demographic of PlayStation 4 owners who previously only owned a competitor platform and thus weren't able to experience The Last of Us on the PlayStation 3. That said, "I think the balance is just about right but you know, there are other games that could be looked at, but there'll come a point where next gen will have moved on and rehashing old-gen will have passed its sell-by date." The CVG interview with Ryan also provided details on his feeling about exclusivity, in particular given Microsoft's announcement of Rise Of The Tomb Raider's timed exclusive. "So do we feel the need to go out and buy outright exclusivity? Probably not... we showed updated videos of games that we had revealed at E3. That's because we wanted to keep the [Gamescom press] show itself full of new, fresh things. We think that gave us a good, strong, convincing portfolio of exclusive stuff and we're happy with that."